A delegation of Shiromani Akali Dal Amritsar led by S.Simranjit Singh Mann was stopped from entering Kashmir by J&K police. The delegation wants to meet the victims ofA delegation of Shiromani Akali Dal Amritsar led by S.Simranjit Singh Mann was stopped from entering Kashmir by J&K police. The delegation wants to meet the victims of atrocities by the Indian army, on the basis of human rights. The delegation have been kept in an Animal Husbandry building, which is surrounded by the police. We will not move back in any kind of circumstances whereas police can arrest us anytime. – Papalpreet Singh, Chief Organizing Secretary, Youth Akali Dal Amritsar. 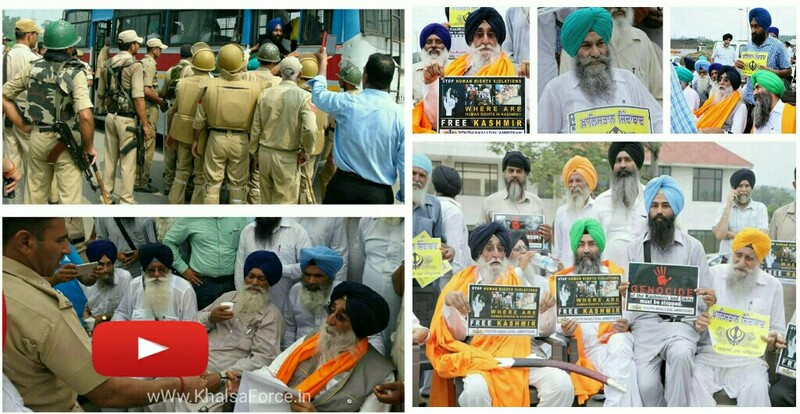 India’s Plan To Kill Jathedar Jagtar Singh Hawara In Tihar Jail | Take Action Email the UN Human Rights Counsel.